As I type this there are many higher dimensional beings behind the scenes. Sasquatch, Star People, inner earth people, nature spirits, etc. These beings in orchestration are all working with the human race preparing for the event. Their purpose is to help the human race raise their consciousness through love and light. To get the humans to see their mistakes and mend them. To help the collective soul of the human species to evolve to higher ways of being. All leading the energy up to the event. Conditioning the human race for contact. Soft disclosure and beings becoming more and more visible with more and more interaction and sightings. The consciousness of the human race at one point will be ready through conditioning for the event. The event will take place at the appropriate time designated by the star council. It will have to be when the energies are just right and the human race’s consciousness is right as to not spark fear or retaliation. A council of star people of different races coming into the earth’s atmosphere and making contact with the humans in a public manner. This event will change the course of the earth. The human race will awaken at this glorious moment. This sets up the New Earth. After the event the council of star people will begin helping the human race in adjusting their ways of living and helping us live as a highly evolved species. Once this process begins the New Earth shifts into a new dimension and and slowly all the beings in hiding start coming out. 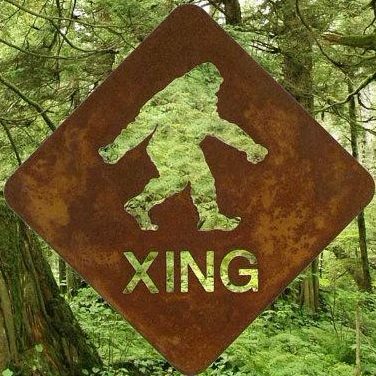 The Sasquatch will come out of the forests and unite with us. The star people will land in open daylight and come out of their ships and greet us. Nature spirits(fairies, gnomes, elves, and giants(large people) will emerge and unite with us. Mere people and other beings from the oceans will surface and meet us. The inner earth beings will come to the surface with their animals and greet us once again. It will be a glorious time and Gaia will rejoice! Of all the scenes we have been presented with of what the event will be like, this is what I see as well. It’s going to be much smoother and more eloquent as our beautiful, gracious soul family will make it so. I love all these collectives and walk with them each day. Thank you so much for this writing, it is perfect ! Your welcome my friend. I am glad it resonates with you.